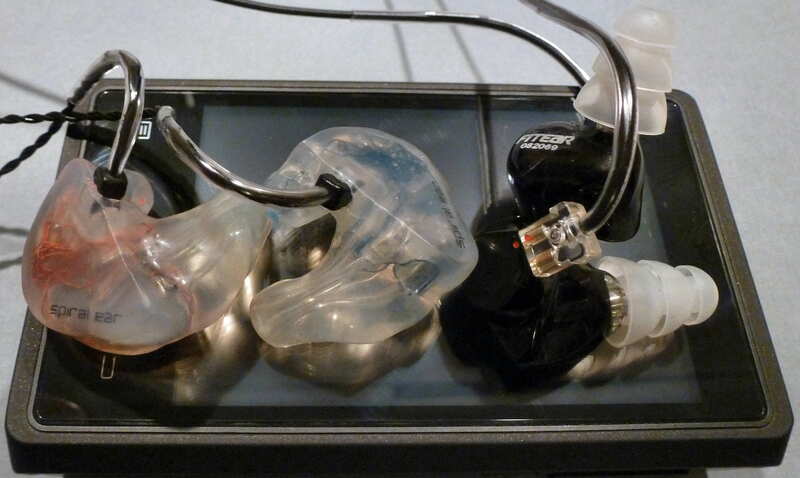 Fit Ear is a custom in-ear monitor manufacturer in Japan that is well regarded in Japan. The Fit Ear To Go! 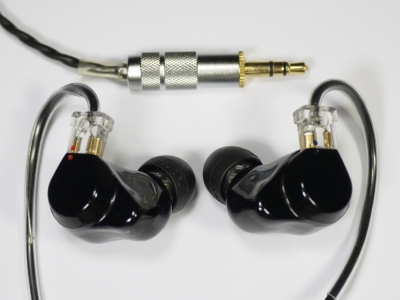 334 was their first universal in-ear monitor and incorporates 3 separate physical drivers in a 3-way configuration with four total balanced armatures, hence the 334 designation. I had the opportunity to borrow the 334 and compare with my higher end custom in-ear monitors (CIEMs), which have similar prices to the $1350 cost of the 334. Sonically, the 334 was a bit of a surprise due to the reference sound I had anticipated hearing, similar to something like the Logitech Ultimate Ears In-Ear Reference Monitor. What I heard was as the sound was more reminiscent of a dynamic driver earphone, especially in the bass region. I was surprised by the quantity of the bass and how reverberant and comparatively loose the presentation. There is plenty to please a bass head, but not something I would call “reference.” The midrange was the highlight of the sound, as it is smooth, rich, detailed, and quite engaging with excellent imaging and very good presentation height and depth to go with a good sized width. Rounding out the sound signature is a somewhat laid back treble that has a slightly analytical note to it. A detailed comparison with one of the highest performing CIEMs I own, the Spiral Ear SE 5-way Reference is below. The 334 is a very expensive universal IEM with a price tag above that of the 5-way, so a comparison is fair even though it is universal fit. Tonally the 334 is a bit brighter, but not by much, and a good deal more mid-forward. The 5-way has a presentation that comes across as more powerful but is also more airy quite often and is more spacious all the time. The 5-way is smoother than the 334 which has an analytical edge to it. Powered from a source such as the DX100, the more laid back 5-way disappears more, sounds more coherent, and is just effortless. Both have similar clarity although the 334 has more apparent clarity due to the more analytical note. Focus within the soundstage is close, but the 5-way edges out the 334. The 5-way has a larger soundstage space with more depth and a more involving and surrounding presentation, including better imaging. Detail levels are higher on the 5-way. The 334 can output a good amount of bass, however when it does so, the bass starts to become less controlled in comparison with the 5-way. Both have deep and capable bass, but the 5-way seems like it isn’t trying in comparison with the 334. Warmth is very similar, however the 5-way is thicker on average. The more forward 334 midrange sounds good and images well, but compared with the 5-way presentation it sounds a bit closed in with less detail and the more analytical presentation doesn’t come across as liquid and involving. Moving up though the upper midrange to the treble, the 334 has a more forward and brighter by a bit sound, however the treble has an edge to it that errs on the analytical side vs. 5-way treble that rings true with exceptional decay and a very natural sound. These two sound like they are made for different purposes, with the 334 being made for studio engineers, and it is an exceptional tool for that purpose. The 5-way isn’t too far off in sound signature, but is more laid back, spacious, detailed, and smooth, and when combined with better dynamics, coherence, and transparency the 5-way comes across as more musical and natural overall. The 5-way conveys more power and emotion while the 334 will make it easier to pick out issues with mastering. Overall, if you don’t want a CIEM, the 334 is an excellent alternative and the best performing universal I have heard to date. There is a lot to like and the sound is captivating and engaging. Read Joker’s full review here.